After the data center, Ancestry.com loaded us back into black vans and whisked us down south of Salt Lake City, past Stonehenge, to Ancestry.com headquarters in Provo, Utah. I was hoping for fake motorcycle cops ahead and behind us, but no luck. When we arrived, Laryn Brown, senior director, document preservation operations, gave us a presentation about Digital Presentation Services (DPS), followed by a tour. DPS is the Ancestry.com equivalent of the FamilySearch Digital Pipeline, but with a less imaginative name. Data Preservation Services (DPS) - Our aim is to preserve family history records across the globe and to make them searchable online. * Domestic DPS operations are in: Worcester MA, Albany NY, Atlanta GA, Montgomery AL, Savannah GA, Topeka KS, and Kansas City MO. 1. Discovery & Licensing – the process of finding archives and libraries willing to share their material. - Even public domain material takes permission to physically access. - Document forensics are required for Special problems. As we got to see last year, Ancestry.com developed a special digitization camera employing a technique usually called Multispectral imaging (although Brown didn’t use that term). 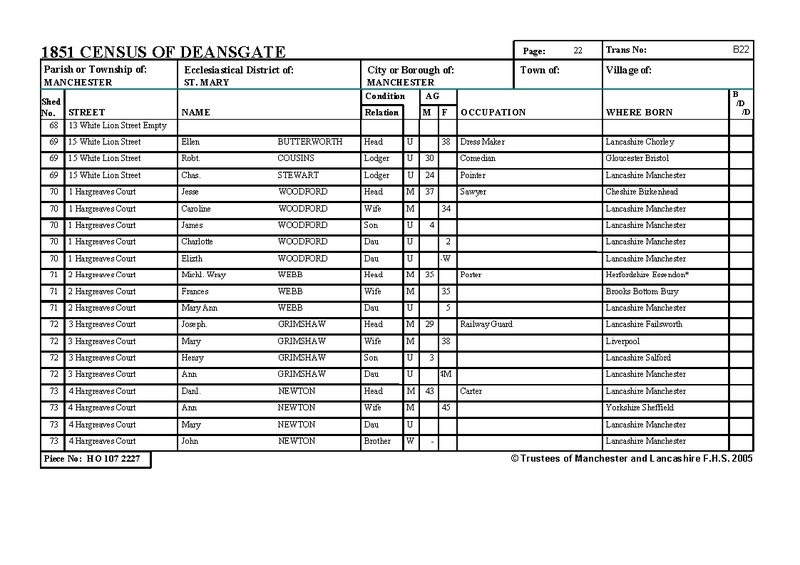 Below are examples from the 1851 England Census in the Manchester area that were water damaged during storage, but were restored using lighting outside the visible spectrum. The examples below show how three example documents appear under normal lighting conditions, and how the documents appear when digitized using multispectral imaging. 5. Indexing – more about Indexing tomorrow. 6. Result is posted online, live to customers. Next time we’ll finish the remainder of Brown’s presentation. Laryn Brown, senior director of document preservation, is a ten-year veteran at Ancestry.com, working as a product manager, development manager, and now in Document Preservation Services. He has a background in imaging and spent two years in London establishing the global imaging group that is currently photographing records in nine countries. He graduated from Brigham Young University with a masters degree in business management. An avid genealogist, Laryn spends most of his time doing Scottish research.